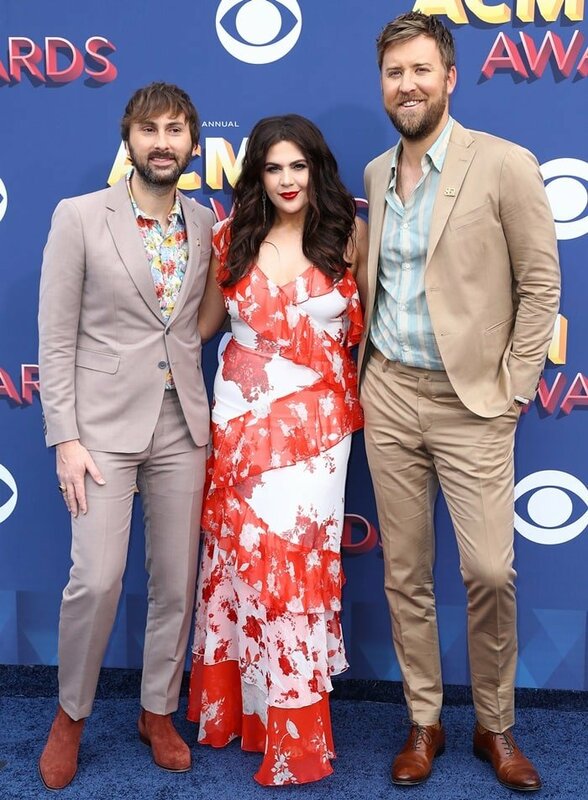 Hillary Scott, Charles Kelley, and Dave Haywood were all glammed up at the 2018 Academy of Country Music Awards on Sunday at the MGM Grand Garden Arena in Las Vegas. The hit-making troupe performed “Heart Break” during the evening’s ceremony. 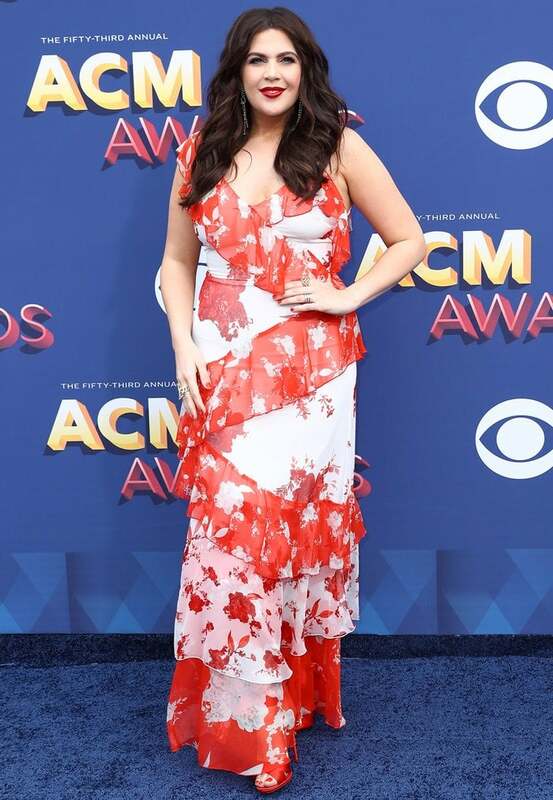 The 32-year- old American singer and songwriter, who gave birth to twin girls in late January with her husband Chris Tyrrell, looked lovely in a floral print Alice + Olivia “Olympia” asymmetric silk dress that you can buy for $795 at Nordstrom, Shopbop, and Neiman Marcus. 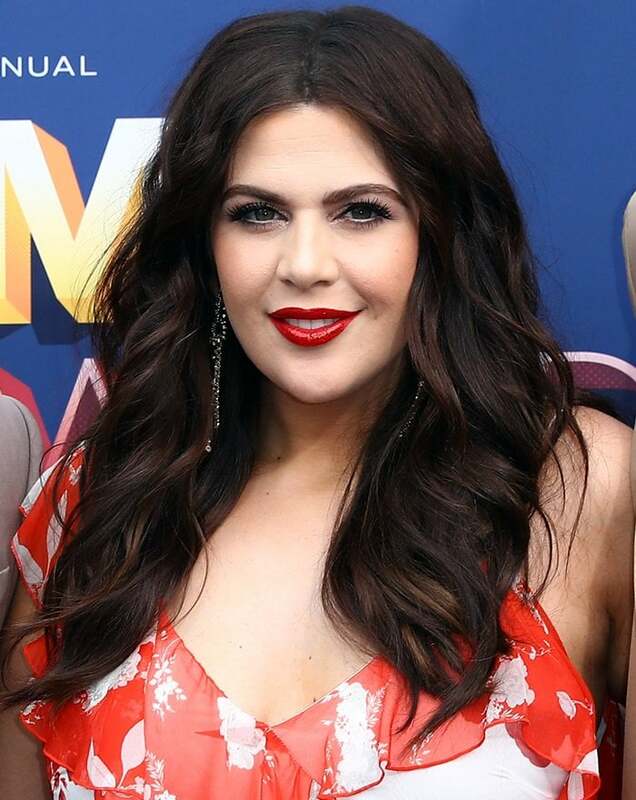 She completed her ensemble with red peep-toe heels that perfected her look. 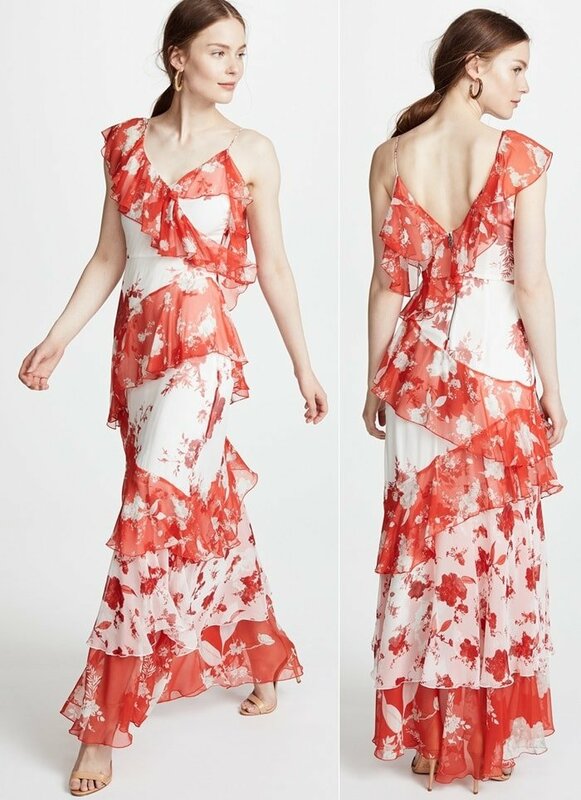 A super-intriguing maxi dress with asymmetrical ruffles and sleeves. In 100% digitally printed silk chiffon, it’s the ideal option for weddings, outdoor parties, and anywhere else you want to be best-dressed.